I have been following the progress of this fantastic new cookery school with interest and here is the first course offering in conjunction with Adam Smith from The Dev at Bolton Abbey. 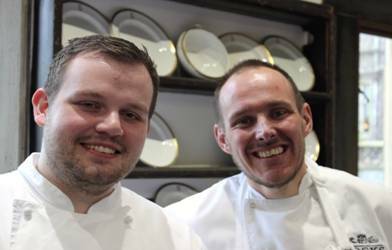 Adam Smith, head chef of the Burlington Restaurant, The Devonshire Arms Hotel & Spa, Bolton Abbey is the first guest chef to grace the kitchens at the recently launched Cooks, The Carlton School of Food in Yorkshire. Adam will be giving budding cooks expert tips on how to create the perfect afternoon tea from his days at the Ritz at a class to be held on Thursday 8th May. For this special class Adam Smith will be delivering the class with Cooks own executive chef, Richard Walton Allen, ex executive chef of Harvey Nichols restaurant in Leeds. Together with Adam and Richard, the bakers will prepare their own splendid tea, including finger sandwiches, scones, cakes, and delicious patisserie. The day also includes a tea tasting and talk from a professional tea expert. If the sun is shining, tea will be taken outside on the terrace, or in the Dutchess’ Dining Room. Everyone also has the opportunity to take a few cakes home, if they can resist eating them before the course ends. This is a class for anyone wanting to learn more baking techniques or who simply enjoy the delightful ritual of the afternoon tea. It is open to all abilities. 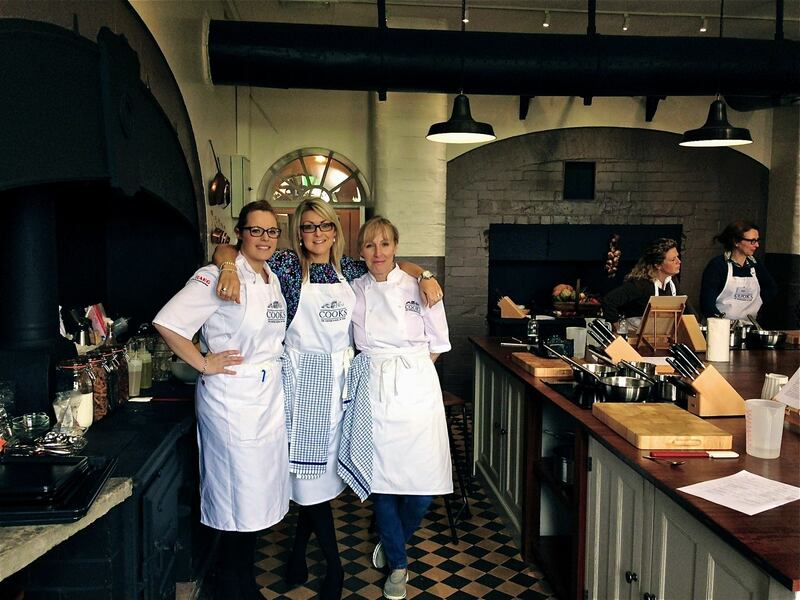 The course is priced at £170 per person and includes, morning coffee, full-day tuition, all ingredients, light lunch, apron and recipe folder to take home. The afternoon tea class runs from 9.30am until 4.30pm. Smith, a former Roux scholar, joined the Burlington Restaurant in June 2013. Winner of The Observer’s Young Chef of The Year Award 2012 Adam has created new and innovative menus at the Burlington Restaurant including the launch of a new signature afternoon tea. Wendy Preston, Group Sales & Marketing Manager of Devonshire Hotels & Restaurants commented, “We are absolutely delighted that our head chef, Adam Smith, has been asked to teach the very first afternoon tea master class at the wonderful Cooks. Adam has become quite a star here at The Dev and his afternoon tea has been described as “the best afternoon tea outside London”. Hailed as ‘a place to discover food’ – Cooks, The Carlton School of Food at Carlton Towers was officially opened to the public on 1st May 2014. Cooks invites guests to step back in time to discover the art of traditional cooking yet also focus on foods of the future, with a variety of classes for guests of all ages and abilities. 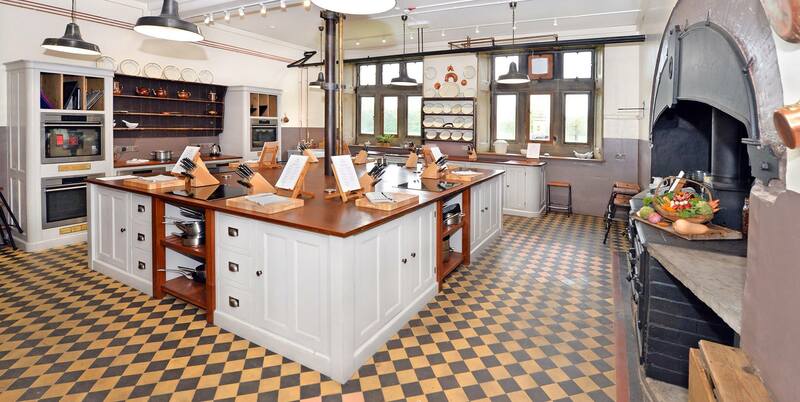 The School of Food is situated in the original kitchens of the Grade I listed house which is now the ancestral home of Lord & Lady Gerald Fitzalan Howard and their three children. The décor of Cooks combines the features and ambience of the original kitchen, whilst introducing all the latest modern technology. The range agas and the butler’s pantry have been regenerated and new oak furniture has also been designed by local craftswoman Karan Main from The Main Furniture Company, Yorkshire. Guests can also step back in time and see authentic pieces of history – including the original ‘Carlton Hall Table’ built in circa 1614 – which at almost 400 years old has remained in the house since it was built. Cooks classes are available for up to 12 guests and prices for non-residential classes start from £170 for full day courses. 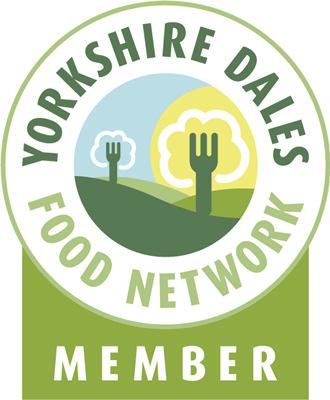 This entry was posted in Baking, chefs, Events, Yorkshire, Yorkshire Dales Food and tagged Adam Smith, bolton abbey, Carlton Tower, Cooks, devonshire arms, Lord & Lady Gerald Fitzalan Howard, The Carlton School of Food, Yorkshire. Bookmark the permalink.